El propósito de este artículo fue el de evaluar el efecto del Programa Saltando por su salud sobre las variables de actividad física y auto-eficacia en niños y niñas de tercer grado usando un modelo ecológico escolar. Diseño del estudio: Un diseño cuasi-experimental utilizado a través de 4 meses. Sujetos: tomaron parte en el estudio 34 niños y 32 niñas con edades promedio de 9.2 años, con un 30% de muestra de participantes con sobrepeso u obesidad. Intervención: estructuración de la clase de educación física para fomentar la actividad física moderada, la enseñanza de actividades físicas para la vida y destrezas conductuales, junto con el desarrollo de las condiciones ambientales y apoyo social en el recreo para la realización de actividad física. Finalmente, el desarrollo de políticas institucionales en el marco de convertir la escuela en una escuela en movimiento. Resultados: Los niños y niñas en el grupo de intervención tuvieron un incremento significativo en la actividad física (p<.001) medido por podómetros. Además, mostraron un mejoramiento en el factor de superación de barreras para realizar actividad física (p<.001). Conclusiones: El programa Saltando por su salud mejoró el tiempo dedicado a la actividad física y a superar barreras para realizar actividad física Este estudio demostró que usando los recursos existentes institucionales escolares y mediante un acercamiento ecológico, se pueden propiciar entornos saludables en movimiento en el contexto educativo. of self-selected physical activity in preadolescents: Implications for after-school care programming. Journal of Psychosomatic Research, 61, 515-520.
preadolescents: Contrasting after-school care and physical education formats. International Journal of Clinical and Health Psychology, 7, 641-659. Bailey, R. C., Olson, J., Pepper, S. L., Porszasz, J, Barstow, T. J., Cooper, D. M. (1995). The level and tempo of children's physical activities: an observational study. Med Sci Sports Exerc, 27(7):1033–1041. Biddle S. J. H., Gorely, T., Stensel, D. J. (2004). Health-enhancing physical activity and sedentary behaviour in children and adolescents. J Sports Sci. 2004;22:679–701. Boreham C, Riddoch C. (2001). The physical activity, fitness and health of children. J Sports Sci, 19(12):915–929. Bronfenbrenner, U. (1979). The Ecology of Human Development: Experiments by Nature and Design. Harvard University Press, Cambridge, MA. Chatzisarantis, N. L. D., Hagger, M. S., (2008). Effects of an intervention based on self- determination theory on self-reported leisure-time physical activity participation. Colley, R. C., Janssen, I., & Tremblay, M. (2012). Daily step target to measure adherence to physical activity guidelines in children. Medicine and science in sports and exercise, 44(5), 977. Health and Ageing, Department of Agriculture Fisheries and Forestry. Canberra: Australian Food and Grocery Council:1–44. Cox, M., Schofield, G., Kolt, G. S. (2010). Responsibility for children's physical activity: parental, child, and teacher perspectives. J. Sci. Med. Sport 13, 46–52. Dallow, B. & Anderson, J. (2003). Using self-efficacy and a transtheoretical model to develop a physical activity intervention for obese women. American Journal of Health Promotion, 17 (6), pp. 373–381. Dishman, R. K., Motl, R. W, Saunders, R., Felton, G., Ward, D.S., Dowda, M., & Pate, R. R. (2004). Self-efficacy Partially mediates the effect of a school-based physical-activity intervention among adolescent girls. Preventive Medicine, 38, 628–636. Dudley, D., Okely, A., Pearson, P., Cotton, W. (2011). A systematic review of the effectiveness of physical education and school sport interventions targeting physical activity, movement skills and enjoyment of physical activity. Eur. Phys. Educ. Rev, 17, 353–378. Duncan, S. C., Duncan, T. E., & Strycker, L. A. (2005). Sources and types of social support in youth physical activity. Health Psychology, 24(1), 3e10. Fein A. J, Plotnikoff, R. C., Wild C., Spence J. C. (2004). Perceived environment and physical activity in youth. International Journal of Behavioral Medicine, 11(3),135-142. 21. Goran, M., Reynolds, K., & Lindquist, C. (1999). Role of physical activity in the prevention of obesity in children. International Journal of Obesity, 18-33. Holbrook, E. A., Barreira, T. V., & Kang, M. (2009). Validity and reliability of Omron pedometers prescribed and self-paced walking. American College of Sports Medicine, 41(3) 669-673. Janssen, I., and LeBlanc, A. G. (2010). Systematic review of the health benefits of physical activity and fitness in school-aged children and youth. International Journal of Behavioral Nutrition and Physical Activity, 7. doi:10.1186/1479-5868-7-40. Janz K. F., Burns T. L., Levy, S. M. (2005). Tracking of Activity and Sedentary Behaviors in Childhood: The Iowa Bone Development Study. Am J Prev Med, 29(3), 171–178. Kahn, E. B., Ramsey, L. T., Brownson, R. C., Heath, G. W., Howze, E. H., Powell, K. E., Stone, E. J., Rajab, M. W., Corso, P. (2002). The effectiveness of interventions to increase physical activity: a systematic review. Am J Prev Med, 22, 73–107. Kriemler, S., Meyer, U., Martin, E., van Sluijs, E., Andersen, L., Martin, B. (2011). Effect of school-based interventions on physical activity and fitness in children and adolescents: a review of reviews and systematic update. Br. J. Sports Me, 45, 923–930. 8. Kumanyika, S. K. (2001). Mini simposio sobre la obesidad: visión general y algunas consideraciones estratégicas. Annu Rev Salud Pública, 22, 293-308. Lee, M., Lee, D., Park, C., Park, G., Lee, D., Kim, S., & Kim, Y. (2012). Validity evidence of Omron pedometer HJ-720ITC for Korean children: A preliminary study. Journal of Science and Medicine in Sport, 15(supp 1), S297. Lox, C., Martín, K. & Petruzzello, S. (2006). The Psychology of Exercise. Arizona: HHP. Lubans, D. R., Foster, C., Biddle, S. J. H. (2008). A reviewofmediators of behavior in interventions to promote physical activity among children and adolescents. Prev. Med, 47, 463–470. 20. McAuley, E., Blissmer, B. J., Katula, J. & Duncan, E. (2000). Exercise environment, self-efficacy, and affective responses to acute exercise in older adults. Psychology and Health, 15 (3), 341–355. McAuley, E., Blissmer, B., Katula, J., Duncan, E. & Mihalko, L. (2000). Physical activity, self-esteem, and self-efficacyrelationships in older adults: a randomized controlled trial. Annals of Behavioral Medicine, 22, 131–139. McKenzie T. L., Crespo, N. C., Baquero, B., & Elder, J. P. (2010). 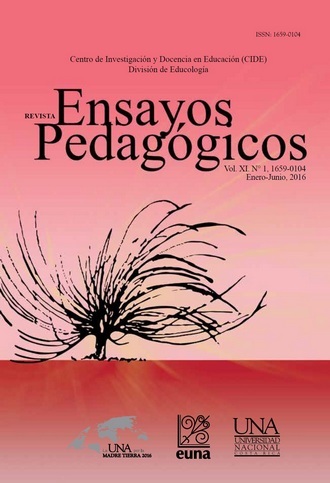 Leisure-time physical activity in elementary schools: analysis of contextual conditions. J Sch Health, 80, 470–477. McKenzie, T. L., Nader, P. R., Strikmiller, P. K., Yang, M. (1996). School physical education: Effect of the child and adolescent trial for cardiovascular health. Prev.Med, 25, 423–431. Michie, S., Abraham, C. (2004). Interventions to change health behaviours: evidencebased or evidence-inspired? Psychol. Health, 19, 29–49. Pangrazi, R. (2007). Physical Activity Interventions in Children and Adolescents. Pediatr Exerc Sci, 19(4):493–494. Peters, B. P., Heelan, K. A., & Abbey, B. M. (2013). Validation of Omron TM Pedometers using MTI accelerometers for use with children. International Journal of Exercise Science, 2, 106-113. Salmon, J., Timperio, A. (2007). Prevalence, trends and environmental influences on child and youth physical activity. Med Sport Sci, 50, 183---199. 15. Salmon, J., Booth, M. L., Phongsavan, P., Murphy, N., Timperio, A. (2007). Promoting Physical Activity Participation among Children and Adolescents. Epidemiol Rev, 29, 144– 159. 23. Sallis, J. F. & Glanz, K. (2006). “The role of built environments in physical activity, eating, and obesity in childhood,” The Future of Children, 16(1), 89–108. Sallis, J. F., Conway, T. L., Prochaska, J. J., McKenzie, T. L., Marshall, S. J., Brown, M. (2001). The association of school environments with youth physical activity. Am J Public Health, 91, 618–62018. Sallis, J., McKenzie, T. L., Alcaraz, J., Kolody, B., Faucette, N., Hovell, M. (1997). The effects of a 2-year physical education program (SPARK) on physical activity and fitness in in elementary school students. Sports, Play and Active Recreation for Kids. Am J Public Health, 87(8), 1328-34. Sallis, J. F., Prochaska, J. J., & Taylor, W. C. (2000). A review of correlates of physical activity of children and adolescents. Medicine and Science in Sports and Exercise, 32(5), 963e975. 37. Stone, E., McKenzie, T., Welk, G., Booth, M. (1998). Effects of physical activity interventions in youth: Review and synthesis. Prev Med, 15, 298–315. Strong, W. B., Malina, R. M., Blimkie, C. J. R., Daniels, S. R., Dishman, R. K., Gutin, B., Hergenroeder, A. C.,… & Trudeau, F. (2005). Evidence based physical activity for school-age youth. J Pediatr, 146(6), 732–737. 5. Taylor, I. M., Lonsdale, C. (2010). Cultural differences in the relationships among autonomy support, psychological need satisfaction, subjective vitality, and effort in British and Chinese physical education. J. Sport Exerc. Psychol, 32, 655–673. Timperio, A., Salmon, J., Ball, K. (2004). Evidence-based strategies to promote physical activity among children, adolescents and young adults: review and update. 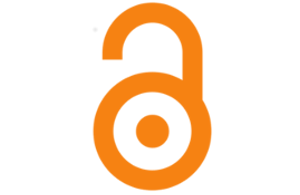 Journal of Science and Medicine in Sport, 7(Suppl 1), 20–29. Tudor-Locke, C., MaClain, J. J., Hart, T. L., Sisson, S. B., & Washington, T. L. (2009). Pedometry methods for assessing free-living youth. Research Quarterly for Exercise and Sport, 80(2), 175-184. Ward, D., Saunders, R., & Pate, R. (2007). Physical Activity Interventions in Children and Adolescents. USA: Human Kinetics Publishers. Willenberg, L. J., Ashbolt, R., Holland, D., Gibbs, L., MacDougall, C., Garrard, J., Green, J.,B., Waters, E. (2010). Increasing school playground physical activity: A mixed methods study combining environmental measures and children’s perspectives. J Sci Med Sport, 13, 210–216. Wing, R. R., Goldstein, M. G., Acton, K. J., Birch, LL., Jakicic, J. M., Sallis, J. F. Jr, Smith-West, D., Jeffery, R. W., Surwit, R. S. (2001). Behavioral science research in diabetes: lifestyle changes related to obesity,eating behavior, and physical activity. Diabetes Care, 24(1), 117–123. 4. World Health Organization. The World Health Report (2002). Reducing Risks, Promoting Healthy Life. Geneva, Switzerland: WHO.